Program Development is the defining of the problem to be solved, and the solution to that problem through system analysis. Development is defined as the process that the program goes through to reach its full capacity or potential. It involves planning, implementation, and evaluation of the program to be developed. 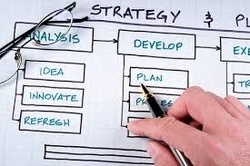 Whether you have a program that needs to be conceived and developed on a private, local, state, or international level, Romada Consulting Group LLC (RCG) can design and implement your program with a realistic assessment of your organization’s capacity to deliver the desired result. In summary, RCG’s Program Development expertise will provide you with a detailed plan that will enable your program to proceed from staging to implementation.